Seen at the Museum of Fine Arts this past weekend. Love it! What a great image. Beautiful painting and great monochrome photograph. And what might we be contemplating here? I think he wants to be in the painting. They all look to noone.. even the man does not seem to look at the painting.. Very strange and interesting picture! Very very nice. And I like your choice to present it in B&W. 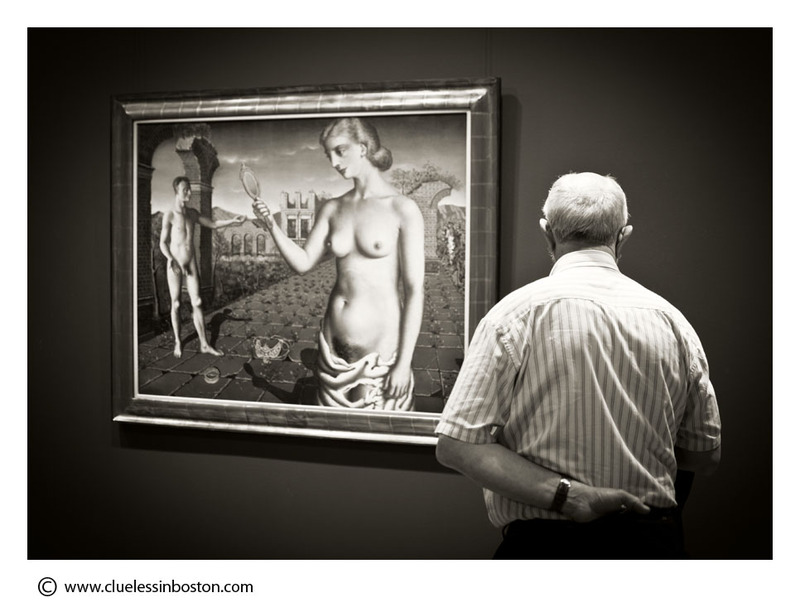 I have been reading so much about the new addition at the MFA. Got to get up there to see it before long. Haha, this is such a provocative capture. Well done!